This story begins with water, giver and protector of all life. As a child I dreamed of diving into the deep blue, as an adult I learned to scuba dive and it became a reality. 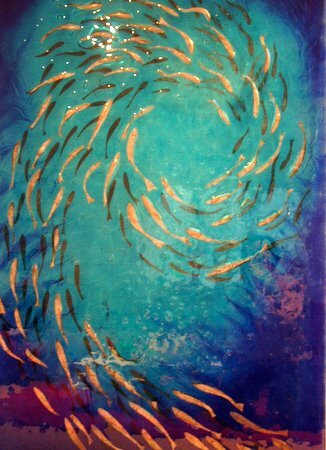 In the mid-nineties I got to dive off the coast of Cuba and was entranced by shoals of shimmering fish and coral gardens. 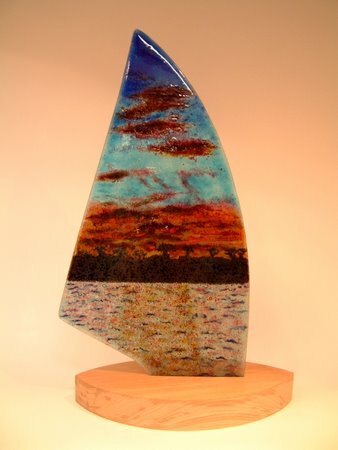 The idea of the sail as a glass design emerged about 6 years ago after a visit to Luxor and a wonderful trip by Felucca on the Nile at sunset. I recall lying in the boat looking straight up at the sail flapping and stretching in the breeze above me. It was a very impressive and joyful experience accompanied by my husband Colin and with 'Captain Eddie Murphy' at the helm. 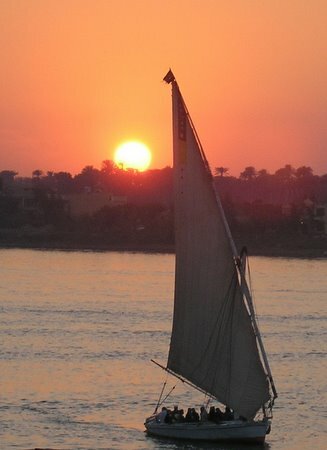 The two young Egyptians sailing the Felucca were spinning yarns and made me laugh a lot! I just loved Egypt and the whole experience of crossing the Nile and visiting the Valleys of the Kings and Queens. After that I visited the Isle of Lesbos off the coast of Turkey to stay with some Greek friends in Mytilini. Most days I bathed in the healing waters of the local Hammam fed by natural hot springs and over-looking the crystal blue Aegean. The curative power of the water helped aid my recovery from a prolapsed disc. The floor of the Hammam was an extraordinary multi-coloured marble which intrigued, I viewed through deep gushing steamy water. It so impressed me that I tried to take photos but the lens continually steamed up! So now I have the images indelibly imprinted in my mind’s eye, the smells, sounds, feel... I can bring it all back. 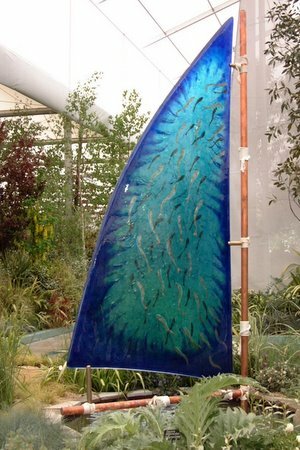 In 2008 I was asked to make a monumental glass sail to be exhibited at the prestigious Chelsea Flower Show. This was commissioned by Quist for the Hillier Garden, which takes centre stage in the great pavilion. 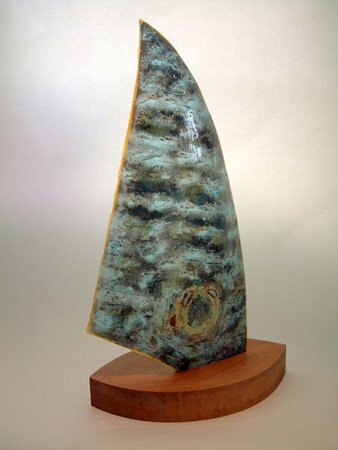 The sail is a modification of the shape that I have been making and exhibiting on and off since 2003 and the design is a development from a private commission created between October 2007 and February 2008. The rest is history as they say.